The fallout from a landmark Supreme Court ruling on deprivation of liberty is putting Approved Mental Health Professional services under ‘unprecedented pressure’, according to new research. A report published by The College of Social Work’s AMHP network reveals that the March 2014 Supreme Court ruling, known as the ‘Cheshire West’ ruling, has triggered a surge in requests for Mental Health Act assessments at some local authorities. 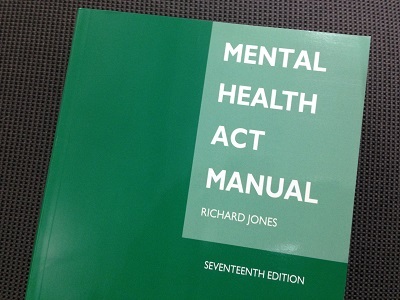 The ruling has also provoked anxieties among some practitioners over the interface between the Mental Capacity Act and Mental Health Act and when each framework should be applied for deprivation of liberty cases on psychiatric wards, the report found. AMHPs are the group of mostly, but not exclusively, social workers who coordinate Mental Health Act assessments. One respondent said their AMHP team had seen “unprecedented” requests for Mental Health Act assessments in the wake of the ruling. A second respondent said their team had witnessed a “doubling” in assessments that has left AMHPs unable to “give the time they would otherwise have done to the people on their caseloads”. The Supreme Court ruling effectively lowered the threshold for what constitutes deprivation of liberty in care. In doing so, it broadened the group of people in care homes, hospitals (including mental health wards) and other settings that are likely to require any deprivation of their liberty to be authorised under a legal framework. Where a patient is in hospital to receive treatment for a mental disorder and lacks the capacity to consent to their care then, in principle, there are some cases where either a Deprivation of Liberty Safeguards (Dols) authorisation or detention under the Mental Health Act are options. Professionals must decide which legal framework is the most appropriate. Relevant factors include whether the person is objecting to the care arrangements or not. The report, authored by Emad Lilo, the vice chair of the AMHP network, gathered feedback on the ruling’s impact from AMHPs working in 24 local authorities. It found that the ruling’s implications were most for local authorities where a large proportion of best interests assessors – specially trained staff who coordinate Dols cases – were drawn from their AMHP teams. “The levels of activity have caused unprecedented pressure on already limited and stretched AMHP services across the country,” the report concluded. The report makes nine recommendations. These include a recommendation that local authorities consider increasing their AMHP workforce capacity and for providers to put policies in place to deal with with circumstances where disagreement results in an inability to take a decision as to whether the Mental Health Act or Dols should be used to give legal authorisation to a deprivation of liberty. The report marks the latest evidence of the seismic impact the Cheshire West ruling has had on the health and care system. The judgement has also triggered a ten fold increase in Dols cases, with statutory timescales for assessments being breached as councils rack up case backlogs. The government has asked the Law Commission to review the legal frameworks for authorising deprivation of liberty, including the Dols. Next week the Commission will publish its draft proposals for a new deprivation of liberty scheme. Tim Spencer-Lane, the lawyer leading on drafting the proposals, will present the draft framework at a free Community Care webinar on Tuesday 7 July. Sign-up here.